If you want to get found online (and get customers to buy from you), then you’ve got to pay attention to search engine optimization. SEO is more important than ever for getting found online—and getting customers to buy from your business. And that’s because online search has become the top way people find local businesses. A whopping 87% of people used a search engine to find a local product or service in the past month, the Local Search Association reports. SEO used to be a specialized skill that required hiring a professional to drive traffic to your website. Today, while SEO is still somewhat of an art form, there are tons of tools and tips you can use to undertake the project all by yourself—with excellent results. Keywords are the words people use when searching online for what you sell. There are tons of apps and programs out there to help you choose the right keywords to use in your website, online ads, and other online content. An easy place to start is with the Google Keyword Planner tool—the best-known and most popular keyword tool. Although it’s intended for planning online ads, you can also use it to find keywords to use on your website. Type in keywords related to your business, and Google shows you how commonly they’re searched and how much competition there is to rank for them. You can also get ideas for keywords by using Google Trends, which shows the most popular search terms on Google currently. For instance, if you own a website that sells cosmetics, you can type in “cosmetics” or “makeup” to see what search terms are most popular in the past week, year, day or other length of time. You can also sort results by location and whether users searched the web in general or were specifically shopping. Using our “makeup” example, a couple of popular terms are “Halloween makeup ideas” and “makeup revolution concealer.” Knowing this, you could use these keywords to create content about Halloween makeup ideas, or spotlight Makeup Revolution Concealer (if you carry this product) on your website. It’s important to make keywords part of useful content. Don’t just cram keywords into your website, or Google will penalize you. Focus on putting relevant keywords in your website headlines, title and image tags, and meta descriptions. If your business targets local customers, include location-related keywords throughout your website, too. For example, if you own a pizza parlor, you can improve your SEO by listing the names of cities and neighborhoods where you deliver on your website. Speaking of local, a presence in local search directories is vital to get found online if your business relies on a local customer base. Plus, every place you’re listed online helps contribute to your SEO efforts so you rank higher in search engine results pages. Get listed in as many local search directories as you can (basic listings are usually free). When you’re filling out your listings, be sure to include any information that a potential customer would need to decide if they want to do business with you—and that means a description of your business that includes your keywords. Also include your hours of operation, address, phone number, photos of your location, map and/or directions, and your website URL. Basically, the more details you provide, the better! Remember to use location-related keywords in your description, too. the search engines will read these as two different addresses—and two separate businesses—so your website won’t get the SEO “juice” you would otherwise get from the listings. Mobile devices now account for more than half (56%) of all visits to search engines. 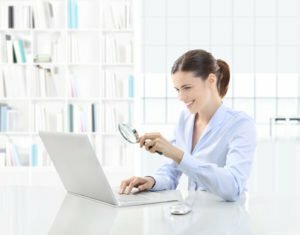 In other words, if customers are searching for what you sell, there’s a good chance they’re searching on their smartphones rather than their computers. What’s more, Google now factors a website’s mobile-friendliness into its search engine rankings, so if your site isn’t mobile-friendly, your rank will suffer. The takeaway: To get found online, it’s no longer enough for your website to be mobile-friendly. Instead, it should be designed primarily with mobile use in mind. A mobile-first website design can translate easily into desktop format, so there’s no downside to this approach. SEO is always changing, so it’s important to keep learning. Do your research and find out what other people are doing right. Talk to other business owners and find out what they did to increase SEO. I’m extremely inspired along with your writing talents and also with the layout for your blog. Is that this a paid subject or did you customize it yourself? Anyway stay up the nice quality writing, it is uncommon to peer a nice weblog like this one nowadays..